“The CT7G tablet from Juniper is the perfect accompaniment to the TruPoint 300 mapping package. It is compact, rugged, and has just the right sized screen to allow the operator a great view of the points collected during a crash or crime scene investigation.” –Paul Adkins, Laser Technology, Inc.
Juniper Systems has had the opportunity to work with Laser Technology, Inc. (LTI) for over ten years now, providing products that fit into the solutions offered by LTI. A combination of their technology with our rugged devices has created and transformed solutions surrounding mobile mapping. As a leader in the world of professional-grade, handheld measurement and mapping laser rangefinders, LTI has spent over 30 years developing breakthrough technology that continues to go unmatched by its competitors. As a proud partner, Juniper Systems takes advantage of every opportunity to brag about the things LTI is accomplishing in the industry. After several years researching how to best help law enforcement with scene mapping, LTI has developed the perfect solution with QuickMap® 3D. Running on Android, this software allows for easy extraction of crash and crime scene data, without the unnecessary complexities and extensive training other programs require. LTI’s simple solution allows users to gather only the data and points they need, and use existing CAD software to transform field measurements into courtroom diagrams. The newest member of the Traffic Safety mapping hardware, TruPoint 300®, can be used with QuickMap Android for indoor crime and fire investigation mapping, rounding out LTI’s investigation portfolio with a high accuracy system that can fit anywhere. Here at Juniper, we knew the CT7G was destined for greatness. LTI agreed. 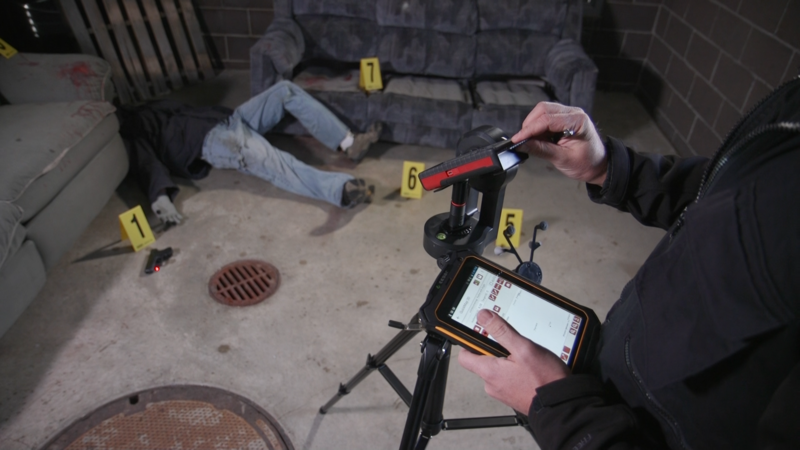 The CT7G is compact and rugged, with the ideal screen size for users to have a solid view of the points collected during their crash or crime scene investigation. Its user-friendly capacitive screen and design provides the perfect platform, while its custom designed Pelican hard case takes up minimal space allowing a crash/crime scene investigator to carry their entire investigation kit to the scene, without feeling weighed down during a long workday. Add affordability into the mix and you’ve got the ideal rugged tablet to document points in any crash or crime scene. The complete solution of LTI hardware, QuickMap 3D, and the CT7G Rugged Tablet provides a cost-effective, simple-to-use, and versatile system for customers. Offering one of the most robust, yet competitively priced solutions in today’s market, QuickMap 3D is ready to make your crime and crash scene mapping tasks a whole lot easier. Visit http://www.lasertech.com/ to learn more about the mapping solutions offered by Laser Technology, Inc.